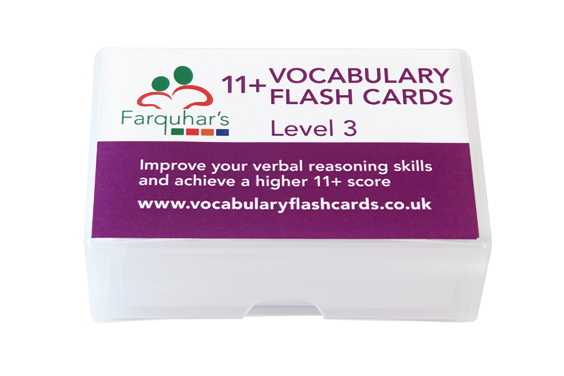 Verbal Reasoning is a major part of all 11+ Entrance Examinations. This key area tests your child’s understanding and comprehension skills. 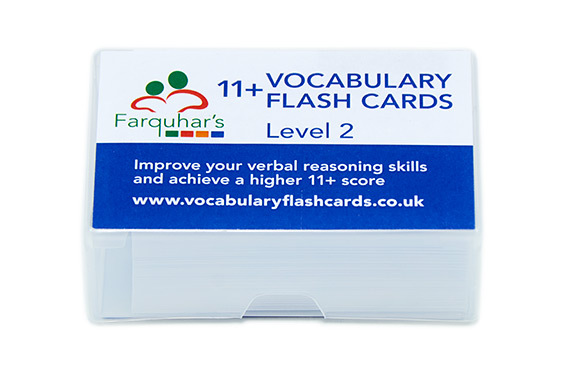 A well-developed vocabulary is essential to succeed in a verbal reasoning test paper. 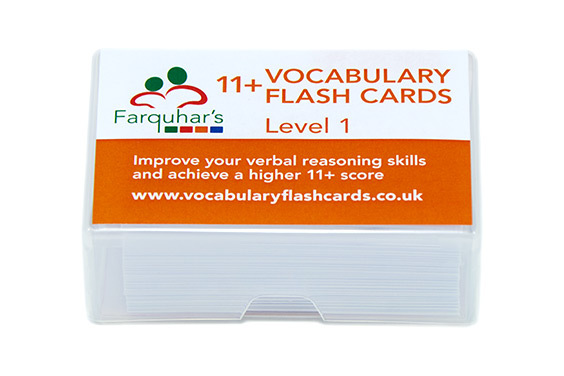 Farquhar’s Vocabulary Flash Cards have been specifically created to develop the advanced vocabulary needed to underpin your child’s verbal reasoning skills, and ultimately help them succeed in the 11+ Entrance Examination. 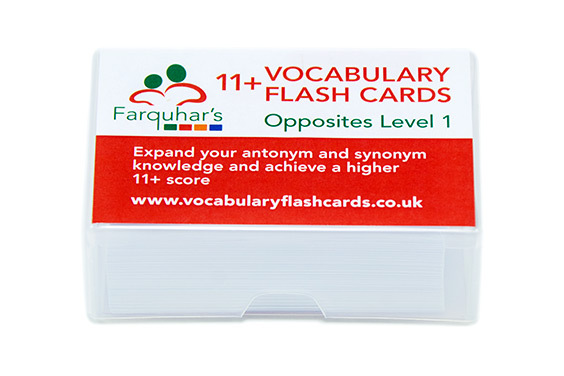 With clear, child-friendly definitions they are designed to complement tutor sessions and help parents work with their child. the sixth pack supports work on tricky Compound words. 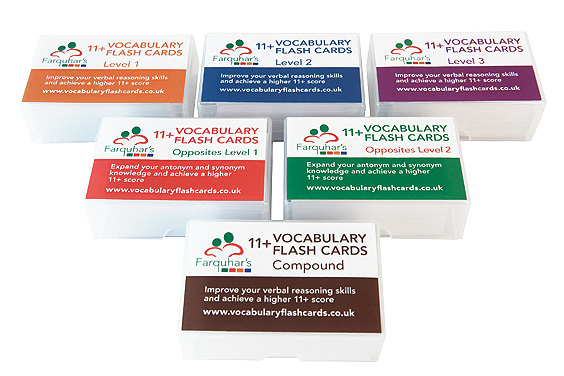 Each pack can be purchased individually or as part of a comprehensive set. 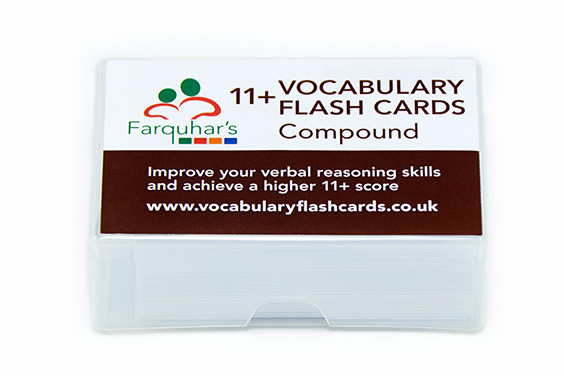 Compound – Created for 11+ preparation to help children recognise the range of words which can be joined to form a new correctly spelt word, which may require a change of pronunciation or emphasis (these can be very hard to spot without practice). 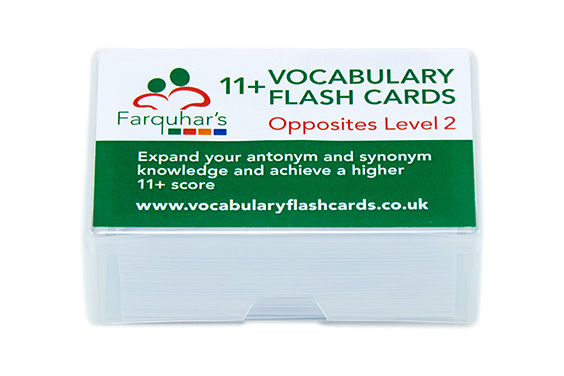 This pack has been designed specifically to help children tackle the trickier non-traditional compound words which are increasingly appearing in tests. Words have been collated from 11+ material and feedback from tutors. Note – not all exam boards test compound knowledge. Please check with the exam body that administers the test in your local area.